AMES, Iowa — Artist and Iowa State University faculty member Brent Holland will share his recent public art project with students April 20-21 at Hanawalt Elementary School in Des Moines. 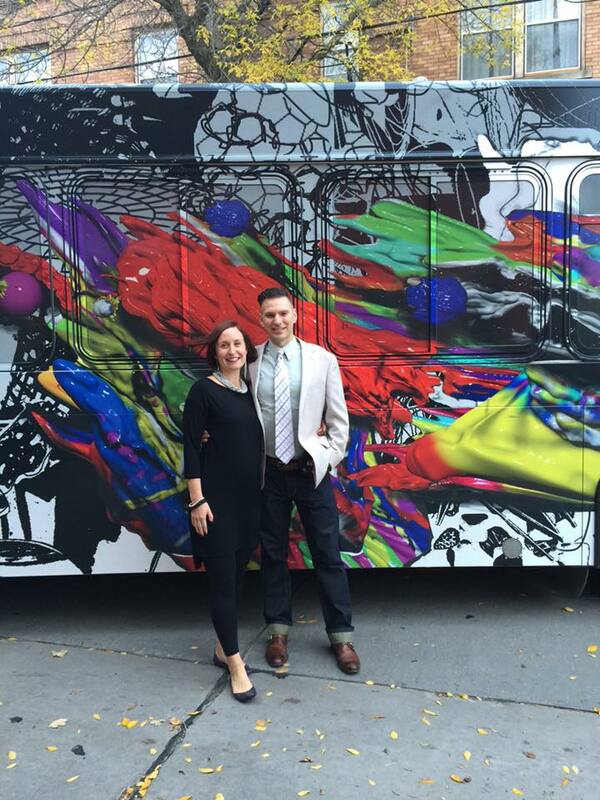 Holland, an associate professor of art and visual culture in the ISU College of Design, was commissioned by the Greater Des Moines Public Art Foundation and the Des Moines Area Regional Transit Authority (DART) to design a public-art installation to wrap around a large transit bus. Holland’s design, “Splatter,” was unveiled last October. The Splatter bus will be parked on the Hanawalt school grounds, 225 56th St., all day Thursday, April 20, and Friday, April 21. 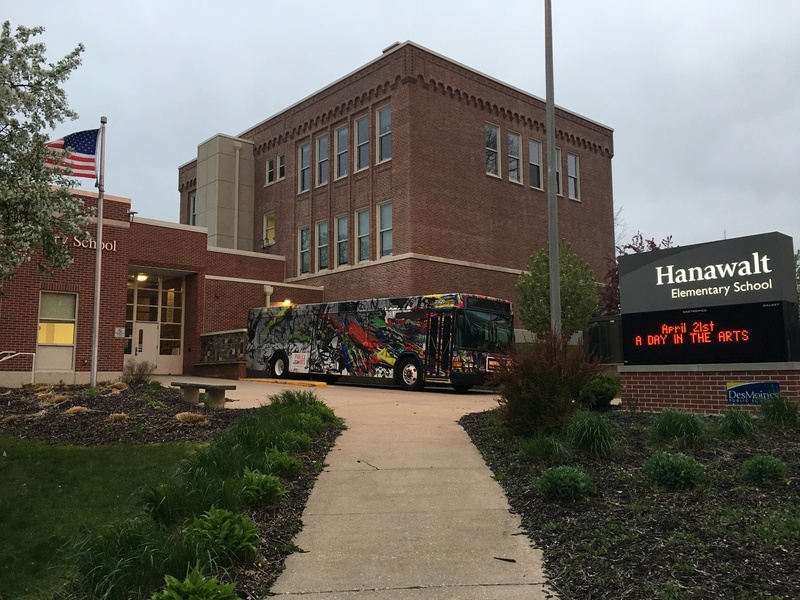 Holland will provide tours and speak to classes in each grade level on Thursday, and the bus will remain at the school on Friday during Hanawalt’s annual “A Day in the Arts” celebration. Holland’s daughter attends Hanawalt and he is a member of the Day in the Arts committee, which asked him to include the wrapped bus in this year’s event. Holland said the design is influenced by Des Moines’ location on the Des Moines and Raccoon Rivers and incorporates abstracted iconography such as the granite tile pattern from the Principal Building. Hanawalt’s art teacher, Samantha Jones-Tweedy, also will have a project for students to color their own bus using a template Holland used when designing the Splatter wrap, he said.